How does an airline deal with a disaster? In the case of Southwest Airlines, impressively well. 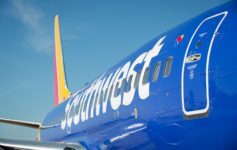 Scott McCartney, author of the Middle Seat column in the Wall Street Journal, shares the amazing story of how Southwest swiftly dealt with the crisis on Flight 1380. The article is behind a paywall, but I’ll summarize how Southwest handled the incident. This was Southwest’s first ever fatality. As the NTSB investigates the source of the problem, Southwest may find itself blamed for failing to properly maintain its aircraft. Should that be the case, another round of horrible news coverage will ensue. But in the meantime, Southwest has bought itself time in its swift and effective handling of the incident. Grammar check this article now that the crisis has cooled. They handled it pretty well, but it looks like Southwest and other airlines operating th CFM engine in question were aware of issues with metal fatigue, yet lobbied the FAA against a more rapid inspecti9n schedule, which might have caught this in time. Also, this wasn’t exactly Southwest’s first ever fatality. First passenger fatality, yes, but Southwest 1248 (2005) overran the runway and killed someone on the ground. WN had never killed a “passenger” before, which is the correct way of putting it. It’s true they killed a worker once. Was the $5,000 check with “no strings attached” a fact? Some people speculate that it might have had release of liability language, but I honestly don’t know. Knowing Southwest culture the former is probably true, but I wouldn’t put anything past a corporation these days. This is how you manage a situation. Any money saved by not devoting all available resources to a situation will be lost to decreased sales and bad press. Have a plan. Execute the plan. Own the situation. I challenge United to provide such a response. They can’t even handle 1 passenger let alone a planeful.